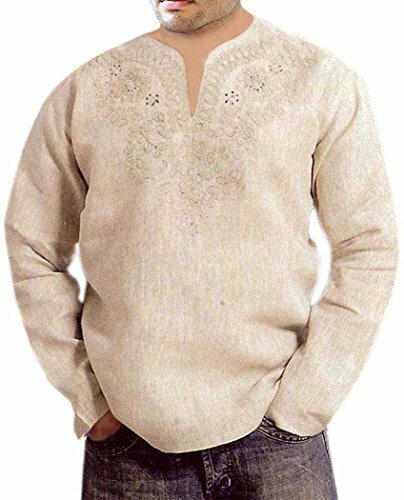 Beautiful embroidered work mens short kurta made in pure linen fabric. If you want to order it as custom made select custom made from size box and then we will send you an measurement form through which you will provide us your all measurements. All outfits come in standard US sizes. A price increase of 15-25% is applied to Plus sizes. Perfect For Weddings, Proms, Cruises, or Any Occasion! Natural color pure linen fabric.